Every cat staying at Imberpark has it's own large individual run to which they have constant access to roam free. Each run is equipped with a scratching post for them to use at their leisure. In addition to this many owners request their cats be supplied with one of our super excel cat aerobic centres. Each has an array of tunnels, hide out houses, ladders and toys enabling your cat to explore and express their natural characteristics. To enquire or to reserve one of these stimulating centres call or ask at the reception. We are regularly asked by customers to supply Adaptil® pet calming sprays and diffusers. These products are featured regularly in your veterinary surgery as a natural calming relaxant . If you would like your pet to have one of these products or for further details ask a member of our team. You can relax safe in the knowledge that the cattery is under 24hr supervision and the whole site is covered and monitored by CCTV cameras. 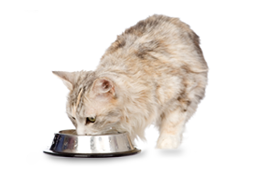 We can supply Adaptil® pet calming sprays and diffusers. These products are featured regularly in your veterinary surgery as a natural calming relaxant. If you are under pressure and have little time spare to either drop off or collect your pet, or simply do not drive we can take care of your transportation needs. If you are under pressure and have little time spare to either drop off or collect your pet, or simply do not drive Imberpark can take care of your transportation needs. Our chauffeur service is carried out by our own trained, insured staff who will ensure your pet arrives on time. 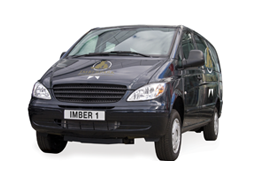 Our vans are new, fully air-cooled and offer comfort. Whether you are in London or the home counties, we have it covered. For a quote, see the tariff page or call a member of our friendly team for further details and availability. Although we endeavour to collect and return animals in a time frame to suit you, unfortunately we are unable to quote specific times for collections and deliveries. Whilst we make every effort to maintain the time period quoted, we cannot guarantee to do so as certain matters beyond our control may cause delay. Imberpark makes your cat's purrfect holiday retreat. Our transport team adhere to strict time frames to help provide you with the best possible service at all times and to keep the number of animals out on transport to the bare minimum. To enable this to happen, ensuring reduced waiting times in and around the London area, we please ask that you have your pets ready in a secure room for us to take swiftly upon our arrival. 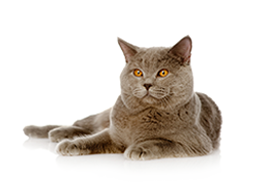 Cats in particular have a tendency to run and hide when faced with the uncertainty of a cat carrier, therefore it is vital they are kept in a secure room in your property where we can access them. Please note due to the number of ‘unsafe’ cat carriers / baskets we have encountered, we require all cats to be transferred into our own secure carriers for transport. This applies to all cats we transport, if you have already placed your cat into your own basket / carrier, they will need to be transferred.